You just found out that you will inherit from a loved one’s estate. While this might be exciting news, it may also cause some concern. 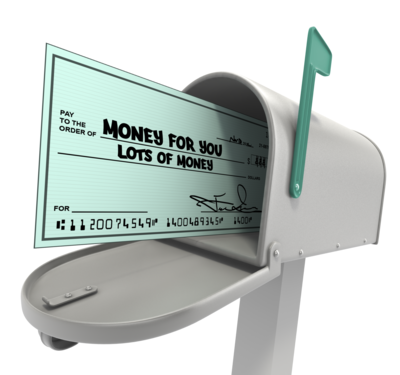 Most people know that estate taxes are typically imposed. Whether or not an heir has to pay any inheritance tax depends entirely on your state. Since state laws are constantly changing, it would be wise to consult with your estate planning attorney if you are receiving an inheritance. Here are the answers to five common inheritance tax questions. No. 1 – What is the inheritance Tax? The legal definition of “inheritance tax” is a tax imposed on money or assets received from the estate of another. The rate of the tax that is imposed depends on the type of beneficiary you happen to be. For example, spouses and lineal heirs (such as children) are typically taxed at a lower rate. In some cases, certain heirs are exempt from inheritance taxes altogether. No. 2 – Does California impose an inheritance tax? The federal government does not impose inheritance taxes. Instead, they are only imposed, if at all, on the state level. Not all states impose an inheritance tax, in fact, only a few states still do. Currently, only four states continue to impose inheritance taxes: Iowa, Kentucky, Nebraska, and Pennsylvania. 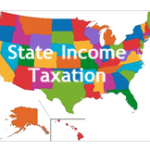 Tennessee was the last state to eliminate inheritance taxes as of December 31, 2015. California eliminated its inheritance tax many years ago. No. 3 – How is inheritance tax different from estate tax? The primary difference between estate taxes and inheritance taxes is who is responsible for paying the tax. Estate taxes are imposed on the deceased person’s estate, the person leaving the money or other assets to a beneficiary. The opposite is true for inheritance taxes, where the person inheriting or receiving the money or assets is responsible for paying. No. 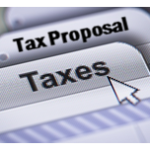 4 – Do you pay taxes on a gift while the person is still alive? Being the recipient of a gift, as opposed to an inheritance makes a different. If the person giving you money or property is still living, then you should not have to pay any sort of taxes on that gift. Usually, the person who makes the gift is the one responsible for paying gift taxes to the IRS. You should not have any immediate tax consequences because gifts are not included as part of your taxable income. However, there may be future tax consequences if the gifted property is later sold. No. 5 – Can an inheritance can be rejected or disclaimed? Yes, you can reject an inheritance if you choose to. However, rejecting an inheritance requires more than simply telling the executor you do not want the money or property. There are laws that govern this type of thing, which means there are certain rules must be followed in order to ensure that you never become the legal owner of the property. In order to properly reject an inheritance, you need to put your disclaimer in writing and deliver it to the person who is in control of the estate. In most cases, that would be the executor of the estate or trustee of the trust that holds the property. Normally, the disclaimer needs to be submitted within 9 months of the person’s death. The most important thing to remember is that you cannot accept any benefit from the property in order to effectively reject the inheritance. If you feel that it is in your best interest to disclaim or reject an inheritance it is very important that you discuss this decision with an experienced and qualified California estate planning attorney. The attorney can take the steps necessary to ensure that your disclaimer is handled correctly. This way, you can lower your risk of encountering problems in the future. As with any estate plan, your inheritance plan involves considering both your present and future financial goals. If your decision is to ultimately accept the inheritance, then you must first consider the nature of the assets you are to inherit. If you wait too long to sell an inherited asset you could increase the chance of suffering unfavorable tax consequences. Also, decide how to handle any retirement accounts you may inherit. You need to have a plan for withdrawing the retirement funds. Understanding your options, while creating a plan that will protect you from possible tax penalties, is an important part of inheritance planning. Download our FREE estate planning checklist here. 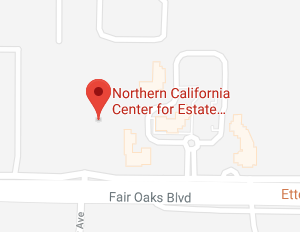 If you have questions regarding inheritance taxes, or any other estate planning needs, please contact the Northern California Center for Estate Planning and Elder Law, either online or by calling us at (916) 437-3500.